All the Pieces Coming Together in Bangladesh! The fixed costs are all taken care of in Bangladesh for our 1st Christian school. 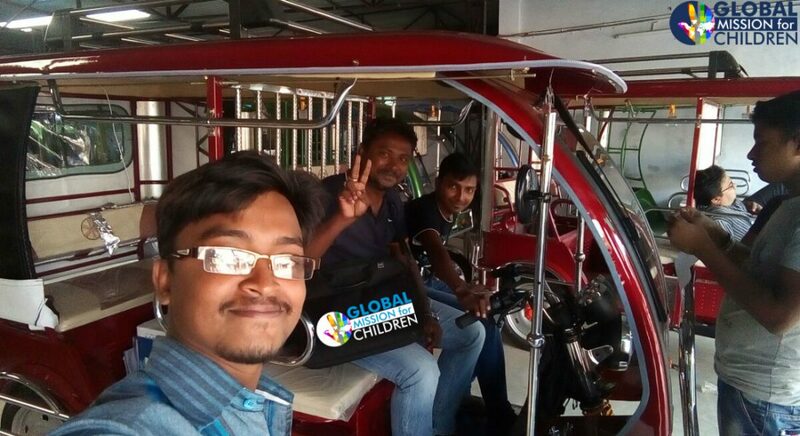 You will see in the pictures below, we were able to buy an electric “easy-bike” which is a popular mode of transportation in Bangladesh. It will not only provide transportation for our teachers back and forth to the school, it’s also going to be used as a taxi that will provide a job for a young Christian brother and also provide a monthly salary, from the profits, for one pastor. The picture to the right shows brother Shamir Day on the left, who is going to be one of our school teachers. 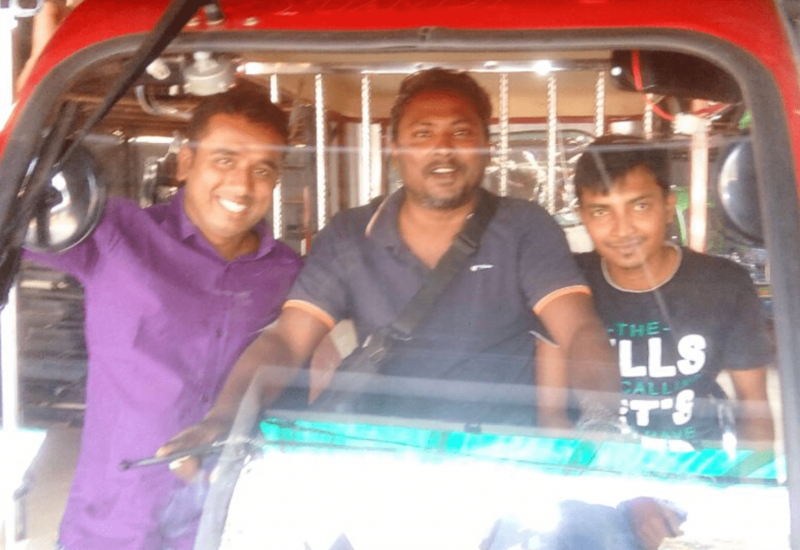 The brother on the right is Shimul Biswas who will be the easy-bike driver. Of course our leader, Hilton, is in the middle! The only thing we need are partners to help out with the monthly expenses for our 1st GMFC Christian school, named Everlight Elementary, in Bangladesh! So, please scroll below or click here to help us out. All we need is $724 monthly to cover ALL the expenses to teach over 100 children! Less than the cost to educate just ONE child in the US! God bless you! [ngg_images source=”galleries” container_ids=”49″ display_type=”photocrati-nextgen_basic_slideshow” gallery_width=”900″ gallery_height=”700″ cycle_effect=”shuffle” cycle_interval=”7″ show_thumbnail_link=”0″ thumbnail_link_text=”[Show thumbnails]” order_by=”sortorder” order_direction=”ASC” returns=”included” maximum_entity_count=”500″]Click the picture below to help 100 children receive a true, Christian education in a country that is 90% Muslim and 9% Hindu!